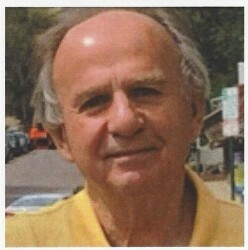 William Donovan “Donnie” Dalmasso, 72, of Memphis, Tennessee, passed away on March 13, 2019. He was preceded in death by his parents, Joseph Dalmasso and Doris Montgomery Dalmasso. He is survived by daughters, Jennifer Gale Dalmasso and Katie Ann Dalmasso, and brother, Joseph Paul Dalmasso. Don’s lifetime career was in the financial arena. In his early career, he was a successful bond trader, later a stock broker, and later in his career, a Senior Vice President at Morgan Stanley and financial advisor focusing on wealth management. He was an avid hunter and fisherman, and a competitive trap shooter. A note from his daughters, our dad was someone people would say was their “Rock”. He wasn’t perfect but he always tried to right his wrongs. He was always there for his girls. When the going got tough, he would say “put your right foot in front of your left” and to “do the next indicated thing”. Most of all, our dad taught the world that “life is too important to be taken seriously” as Oscar Wilde would also agree. He knew how to cut up and laugh because those moments we share together is what life is all about. He’d want you all to have tears of laughter and joy in your eyes and to smile over the full life he lived. There will be a memorial service in memory of “Don” Donnie, Friday, March 29, 2019 at the Westbrook Funeral Home Chapel in Hazen, Arkansas located at 115 North Livermore Street, Hazen, Arkansas 72064. The gathering will start at 5:30 P.M. Please, in lieu of flowers, he would want you to donate to a cancer foundation or to the children at St. Jude’s who from the start leaned laughter over tears. He had love for you all.